In a time when hip hop culture has been under heavy criticism for the lack of political content in commercial hip hop, Keur Gui reminds us of what hip hop culture is capable of, in terms of both social commentary and political action. As founding members of the social and political movement Y’en A Marre (Enough is Enough), Keur Gui has provided heavy social commentary in their music for over 20 years. Coming out of Senegal, which is perhaps one of the most political hip hop scenes in the world, Keur Gui has used hip hop culture to engage with their audiences and to confront the state. Y’en A Marre is one of the only social movements deeply rooted in hip hop culture to effect political change. In Senegal, Y’en A Marre was involvement in mass mobilization campaigns, helped register voters, engaged in social protest, and promoted an ideology known as New Type of Senegalese (NTS). The idea behind NTS is that calls for social change go beyond requests for government action, but also rests in responsible citizenship. While the people may call for government-led development, the people also need to take responsibility for their contributions to environmental and social problems.Y’en A Marre is an ongoing movement, which has focused on Senegalese helping Senegalese. One of the projects Keur Gui is currently working on is a fundraiser to build a recording studio in their hometown Kaolack. The fundraiser can be found at http://projects.keurgui.net. In this interview we speak with Thiat, one of the MCs in Keur Gui. Thiat discusses Keur Gui’s involvement in Y’en A Marre, the spread of the movement outside of Senegal, revised perspectives on Pan Africanism, the role of MCs in civil society, and more. Berktay, Aligul. (2014). Pikine’s Hip Hop Youth Say “Enough is Enough” and Pave the Way for Continuous Social Change. 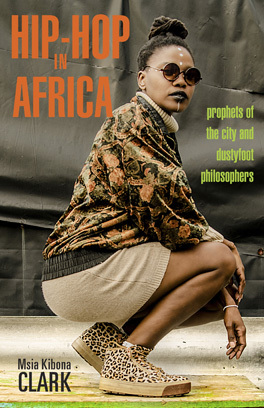 Hip Hop and Social Change in Africa: Ni Wakati. Fredericks, Rosalind. (2014). “The old man is dead”: hip hop and the arts of citizenship of Senegalese youth. Antipode, 46(1), 130-148. Gueye, Marame. (2013). Urban guerrilla poetry: The movement Y’en a Marre and the socio-political influences of hip hop in Senegal. Journal of Pan African Studies, 8 (3), 22-42. Lo, Sheba. (2014). Building our nation: Hip hop artists as agents of social and political change. Hip Hop and Social Change in Africa: Ni Wakati. Prause, Lousia. (2013). Mit Rap zur Revolte: Die Bewegung Y’en a marre. Prokla, 43(1), 23-41. Senghor, Fatou Kande. (2015). Wala Bok: Une histoire orale du hip hop au Senegal. Amalion Publishing.